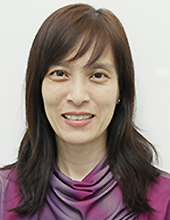 After obtaining her Bachelor of Dental Surgery at the National University of Singapore in 1989, Dr Vina Lim served as a Dental Officer with the Ministry of Health. She then spent the next three years in private practice as a general dental practitioner. After taking time off on overseas maternity leave, Dr Lim joined Atria-City Dental Group in 1997. Believing good oral health is the cornerstone for the success of any dental work, Dr Lim places great emphasis on the maintenance of proper oral hygiene. An educator by nature, she willingly spends time to raise her patients’ dental awareness, hygiene and aspirations. With her patients’ best interest at heart, Dr Lim practises minimally invasive dentistry, allowing them to preserve their natural dentition for as long as it is possible. Her reassuring chair-side manner and gentle approach puts patients, young and old, at ease, allowing her to carry out a wide range of preventive and restorative work efficiently.